Sometimes, I run across a recipe that makes me stop what I'm doing, run into my kitchen, and take an inventory of ingredients. This was one of those recipes. 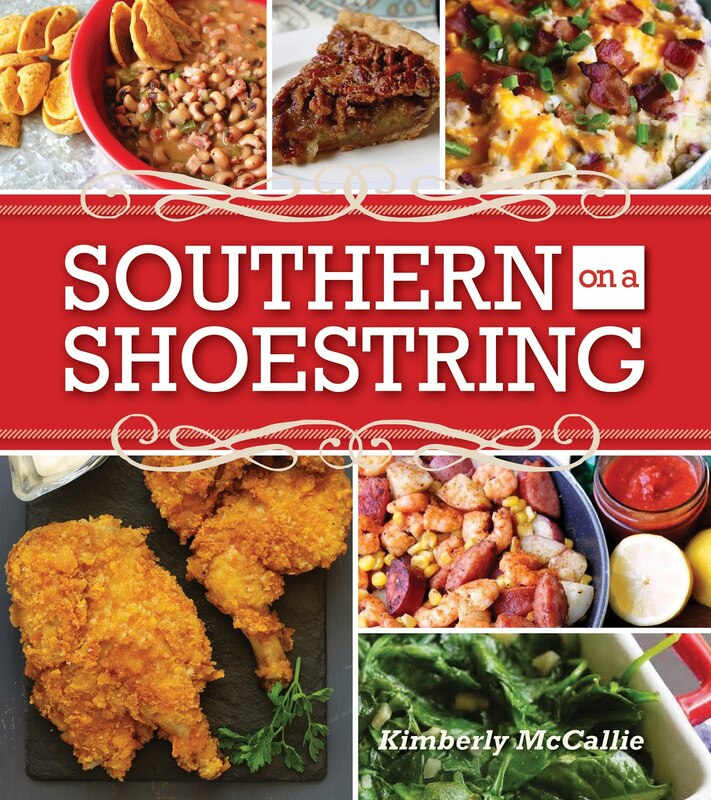 I found it on a blog hop on Let's Get Cookin'. I did get cookin and then I got to eatin.﻿ These Snickerdoodle Brownies are everything I hoped for and more. They have the dense, chewy texture of a brownie but the cinnamon goodness of a snickerdoodle. This is as close to a homemade cinnamon roll that I've ever come to baking. They are now a permanent part of my life...and hips. Preheat oven to 350 degrees. Spray the bottom of a 9 x 13 baking pan with cooking spray. In a small bowl combine flour, baking powder and salt. Set aside. In a larger bowl mix together softened butter, light brown sugar and sugar until blended. Add one egg at a time, then add the vanilla. Add the flour mixture and blend well. Spoon half of the batter into the pan and spread evenly. 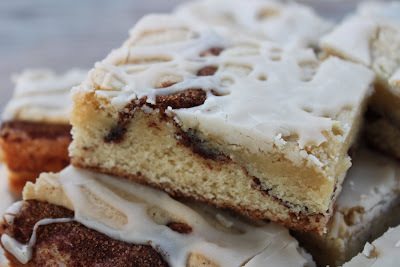 Make the cinnamon mixture by combining: one tablespoon sugar and one tablespoon cinnamon. Sprinkle evenly on top of the batter that is in the pan. Using the remaining batter, place teaspoon sized dollops on top of the cinnamon mixture….covering all the pan. You will be able to see some of the cinnamon mixture peeking through. Bake for 25 minutes in a 350 degree oven. Once baked, let it cool for one hour. Combine all ingredients for the icing and once cool drizzle it over the brownies. Yes, you must stop what you're doing and make these. 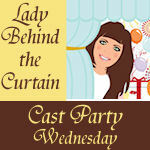 Please join my linky party on Sweet Indulgences Sunday. Very nice! 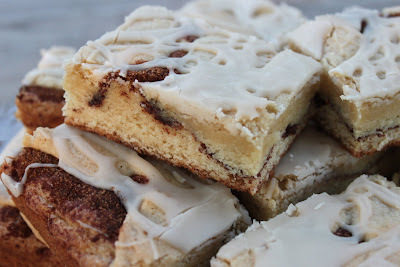 I like recipes like this that I can bake easily and keep for my family. I made your blondies a couple of days ago and the pan is almost empty. @Farmchick - Thanks! Glad you enjoyed them. They do go fast. These snickerdoodle brownies do, too. They're wonderful! These sound very good. I love love love cinnamon sugar anything. I will be trying these for sure. Snickerdoodles are one of my favorite cookies and I love brownies so will try this out. Was planning on baking in the morning so now I know what I will do. These look heavenly!!! I bet they smell absolutely amazing baking in the oven. This is surely going on my fall baking list! I just had to post again. I made up these this morning and yummy is all I can say. Just so good.Thanks for the great recipe. It is certainly a keeper for me. @Karan-Glad you enjoyed them and reported back. I love them! I love snickerdoodles! I've never heard of them in brownie form before, but I'd love to try these. I have never made snickerdoodles before so this a new and yummy thing for me! I will have to try it soon. Thanks for posting the recipe. Oh my goodness!!! 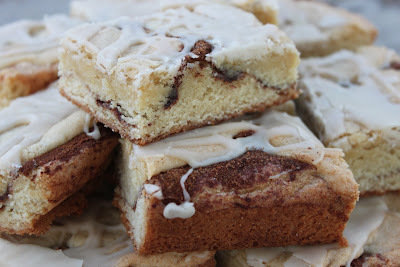 Snickerdoodles in bar form...yummy!!! YUM! I LOVE snickerdoodles! I am making these today for our annual church picnic! I'm sure they'll be a HIT! :D Thank you so much for sharing! Can't wait to try them! oo myyy gooodness!! These look soooo amazing!!!!! As soon as my brother's wedding is over and we are no longer dieting, I am making this for my husband! What a perfect combination!! This is my first time here and I'm so glad I came across u'r blog. These look great. I can't wait to try them. I'm off to see the rest of u'r space. Yummy! Thanks for linking up to the Creative Genius Link Party! Hope to see you next week! This is a great recipe, and comes out fabulous. But I must say that your recipe instructions are incomplete. While any baker would know to add the dry ingredients to the blended wet, the instructions for that step are not there. I added the line. Thanks for letting me know. I made these and wrote about them here. They were so addictive. Can't ever go wrong with cinnamon. Thank you for posting the recipe. Made these the other day, they are great. Hate to have to say this, but I wouldn't make these again. My family of five agreed. After 25 min they were still liquid, but after 30 minutes the center was almost raw, but the edges were hard as a rock. They were also very shallow and chewy like a fudge - not a brownie. The glaze also completely overpowered any taste the "brownie" had. Was a complete fail for us.